Since 1999, Longwave has been one of the New York City's leading exports. After the success of Endsongs , their 2000 independent release, the band signed with RCA Records and began work with producer Dave Fridmann, known for his efforts with the Flaming Lips and Mercury Rev. The resulting album, The Strangest Things, led to critical raves and tours across all parts of this earth with the likes of The Strokes and The Vines. 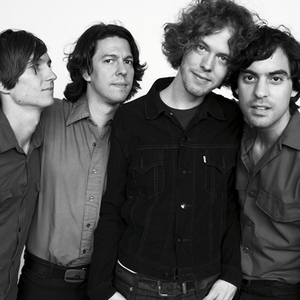 Longwave followed up on the success of The Strangest Things by entering the studio in 2004 with famed producer John Leckie, whose work with Radiohead and Pink Floyd endeared him to the critical taste of the band, and There's a Fire was released in 2005. With a return to the studio planned for late 2007, Longwave found itself on the list of indispensable listening for the first part of this millennium. Expect them to stay there. Longwave's latest album, Secrets Are Sinister, was released in November 2008 on Original Signal Recordings.